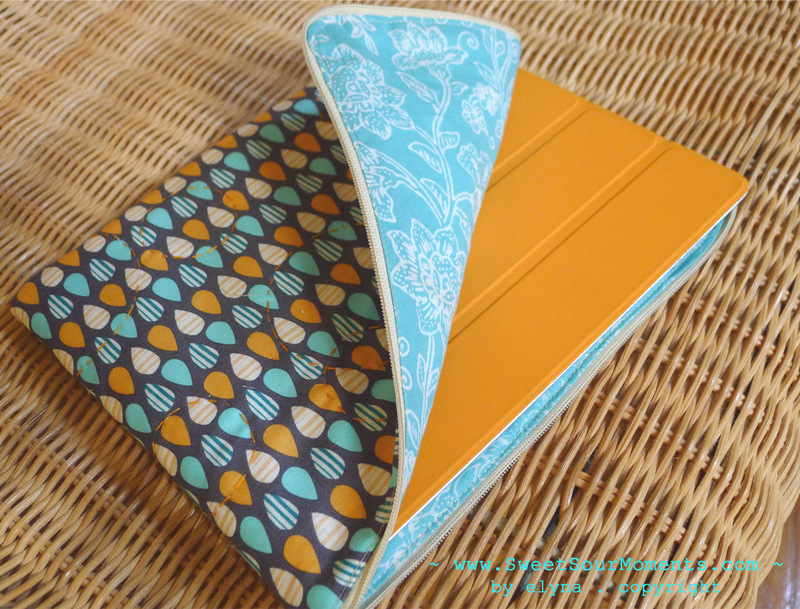 I had been planning to make a new and personalized home for my Ipad since last year. 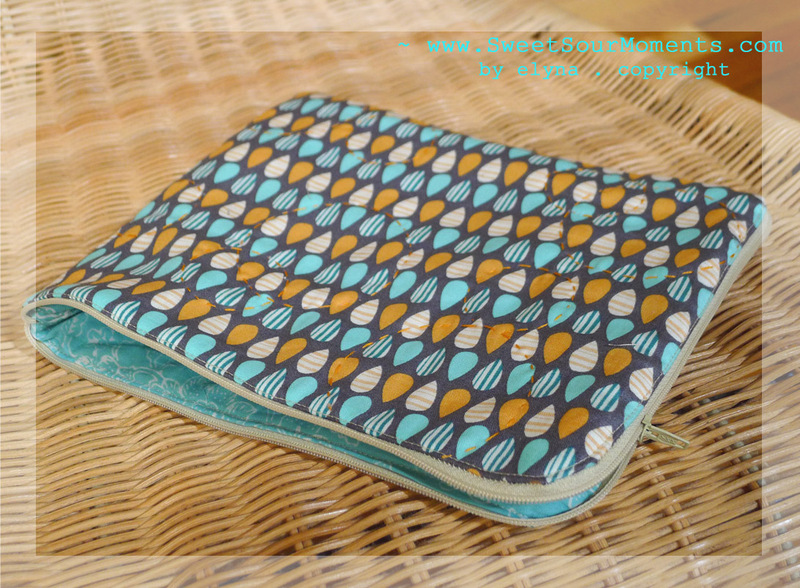 When I found this cute fabric I thought well this is the time, even better I was able to use, again, the left over Batik fabric for its lining. 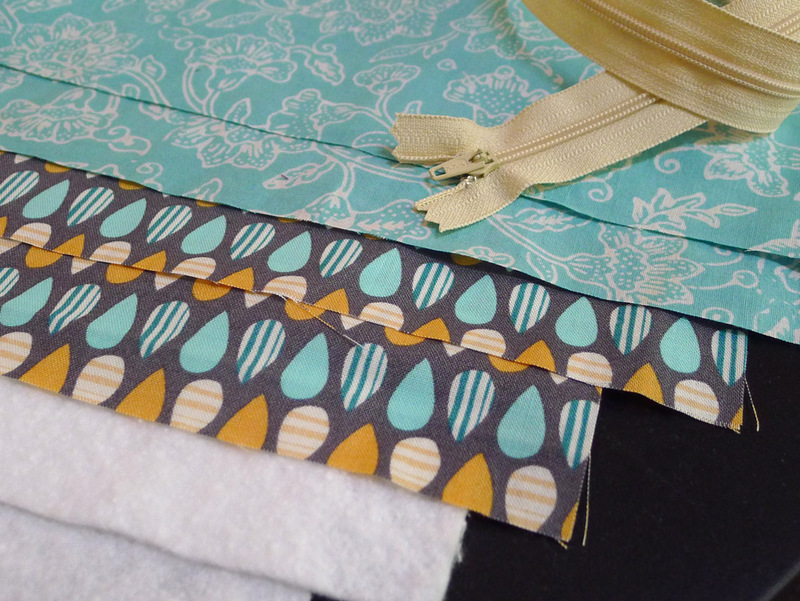 Cut 11″ x 9″ main fabric, cotton batting, and lining, 2 pcs each. 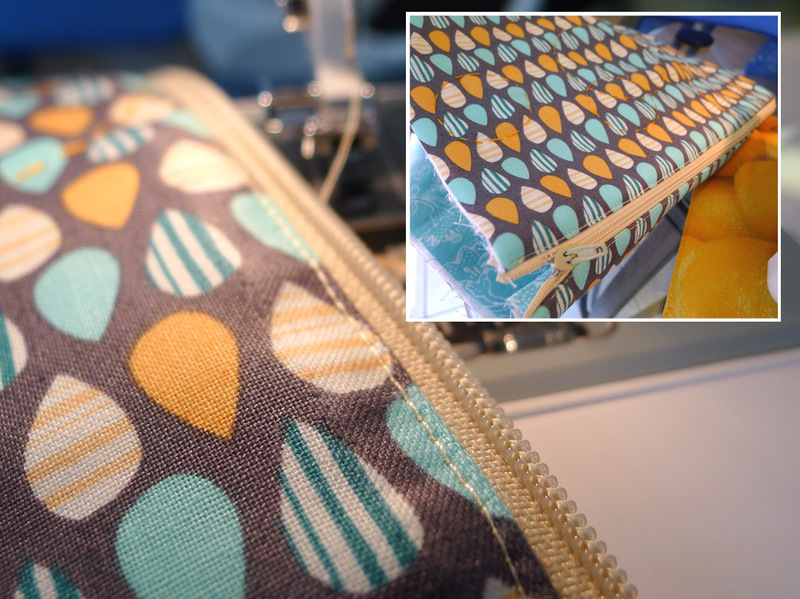 ( or larger if you prefer bigger case for more room, I am using 3/8″ seam allowance ). 2. 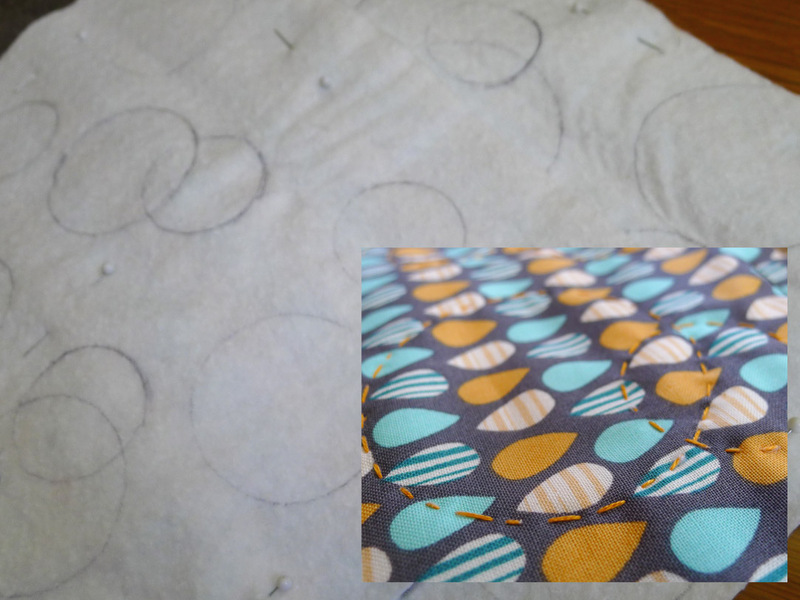 Place main fabric and cotton batting together, draw any pattern you like ( here are random big and small circles ), then hand stitch using contrast thread. Since I don’t have erasable pencil, I drew on the batting side to keep the main fabric clean. 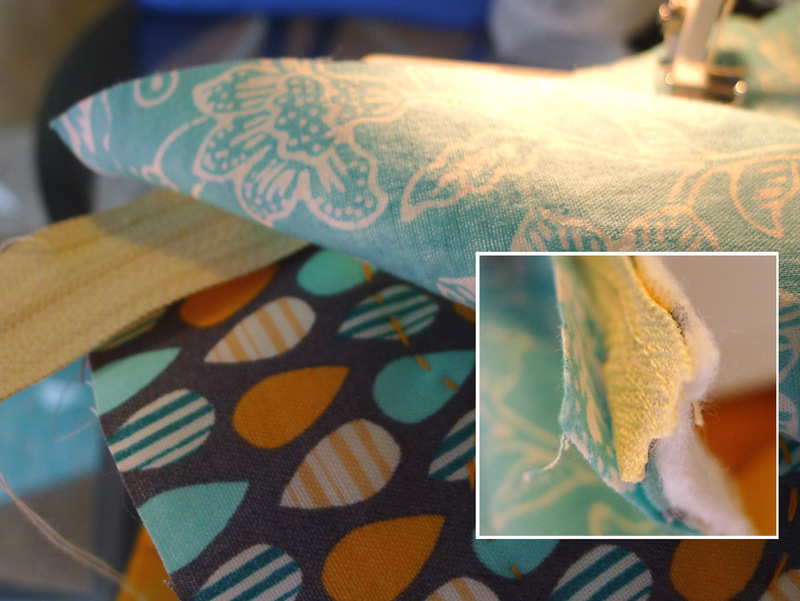 This is optional but I like to put this extra step to add nice detail and to stabilize the cotton batting onto the main fabric. note : since the main fabric and cotton batting are now attached, I will name them together as main fabric in the next step, for typing efficiency. 3. 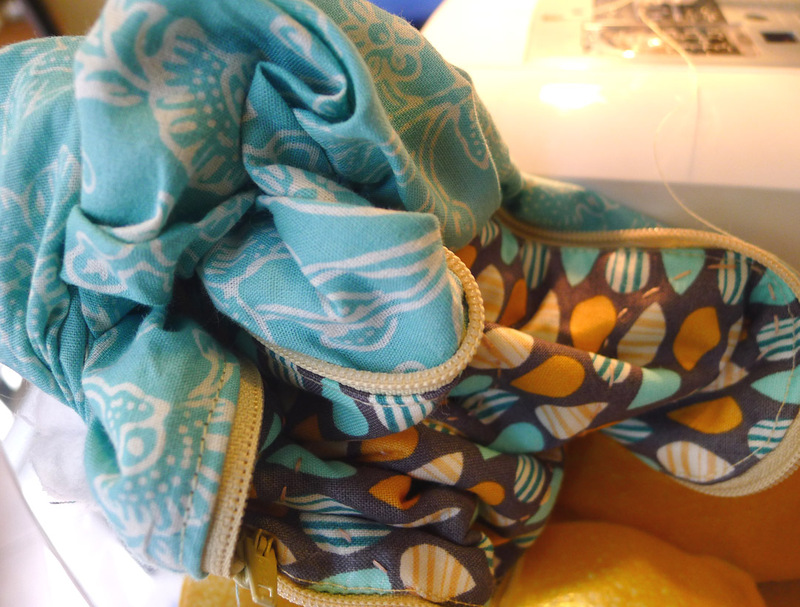 Pin the zipper on the main fabric, right size facing together as pictured. 4. Sew 1/4″ from the edge. 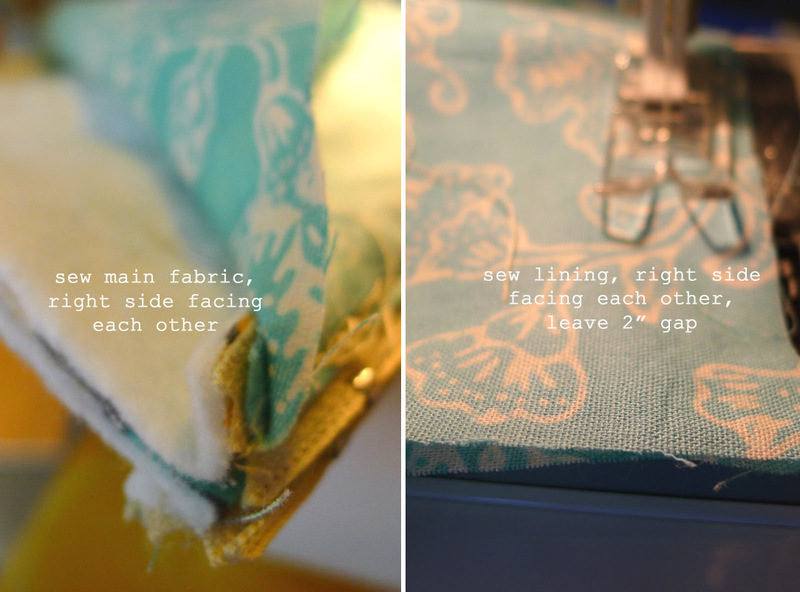 You can also sew the lining at the same time but here I separate the steps. Make sure to cut the zipper edge at the curve area as pictured. 5. This is what it looks like. 6. Place the lining on the top of zipper so that the right size of main fabric and lining facing each other with zipper sandwiched in between. 8. 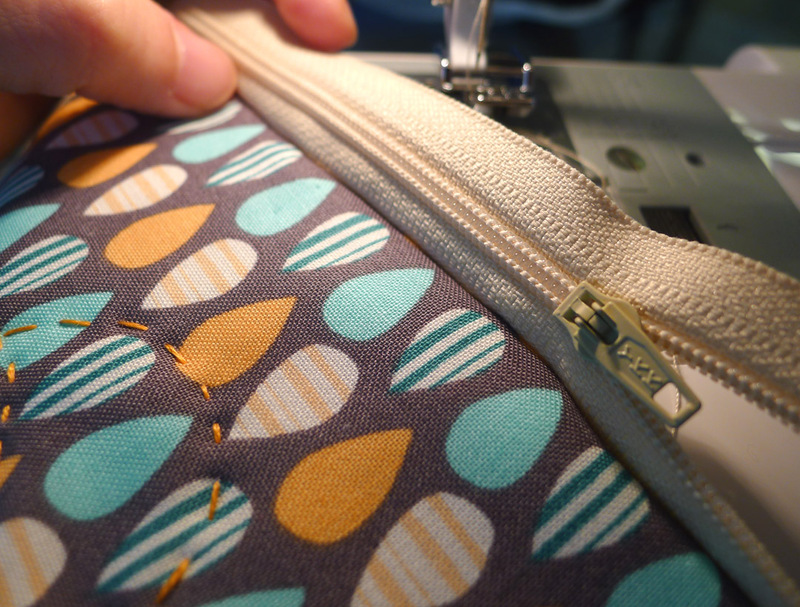 Sew extra stitch on main fabric along the zipper line just to make it looks neat. 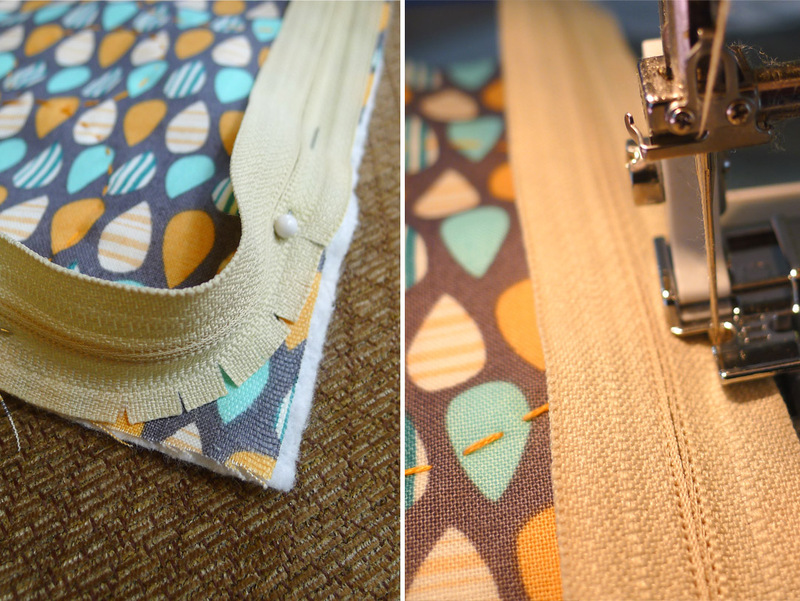 Continue with the 2nd pair of fabric on the opposite side of zipper. 9. Open the zipper, pin the main fabrics with right sides facing each other, make sure the linings are not included, Sew 1/4″ from the edge. Cut extra length of zipper. 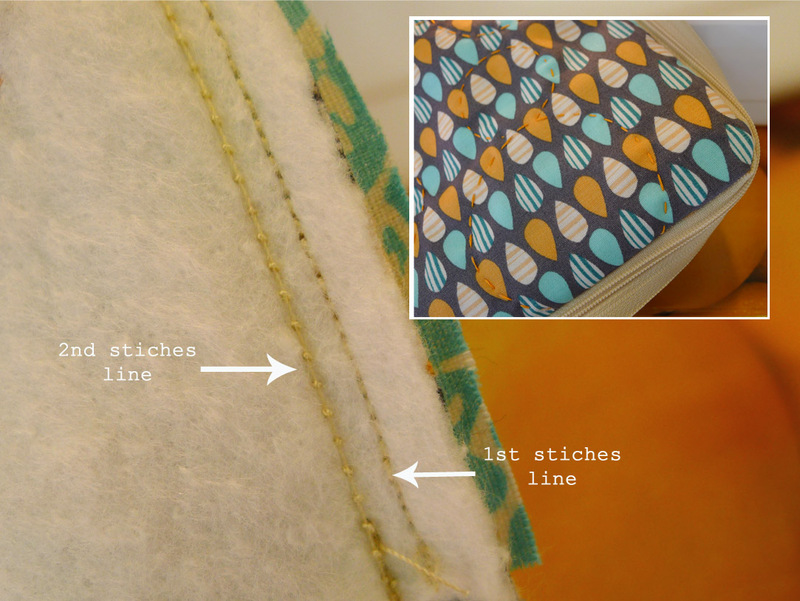 Next, pin the linings together right sides facing each other, don’t forget to leave at least 2-3″ opening for flipping the fabrics inside out. 10. Flip inside out. Honestly this is a scary moment since everything looks so messy and out of order, but don’t worry after this step you can have big smile :). Don’t forget to stitch close the lining opening. 11. Done! hopefully you enjoy the tutorial and good luck! Very nice. Now I rememer why I bought a case. 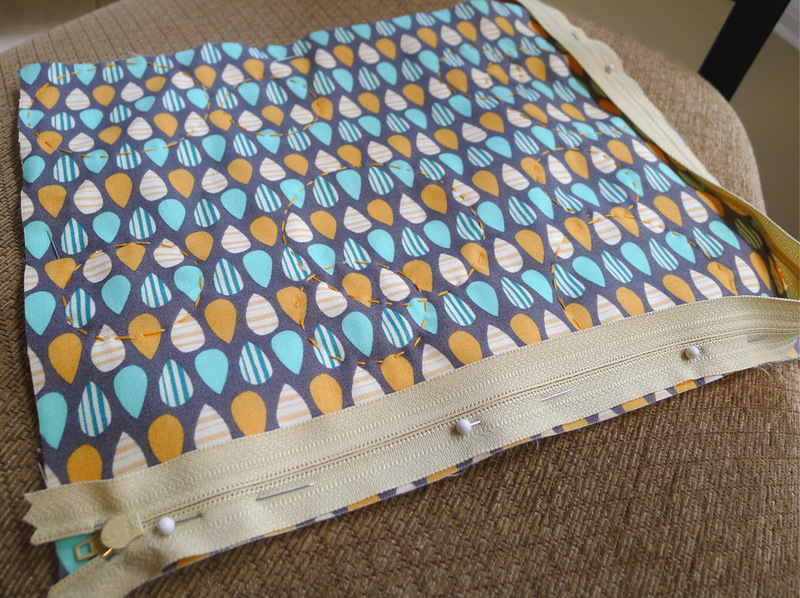 I have limited patience and think I’d have quit this half way through the zipper installation! your comment makes me smile 🙂 yeah that zipper part is tricky. thanks for visiting my blog.